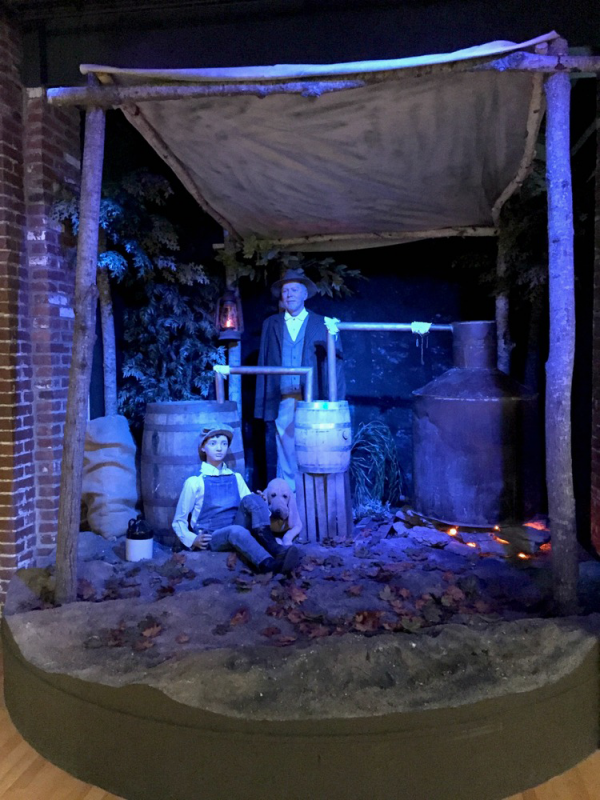 With the crack of a hammer on a barrel top and a splash of golden amber “bourbon” hitting the ground, a new exhibit entitled Spirits of the Bluegrass: Prohibition and Kentucky opened shortly after 10 a.m. Thursday, October 29th at the Frazier History Museum. 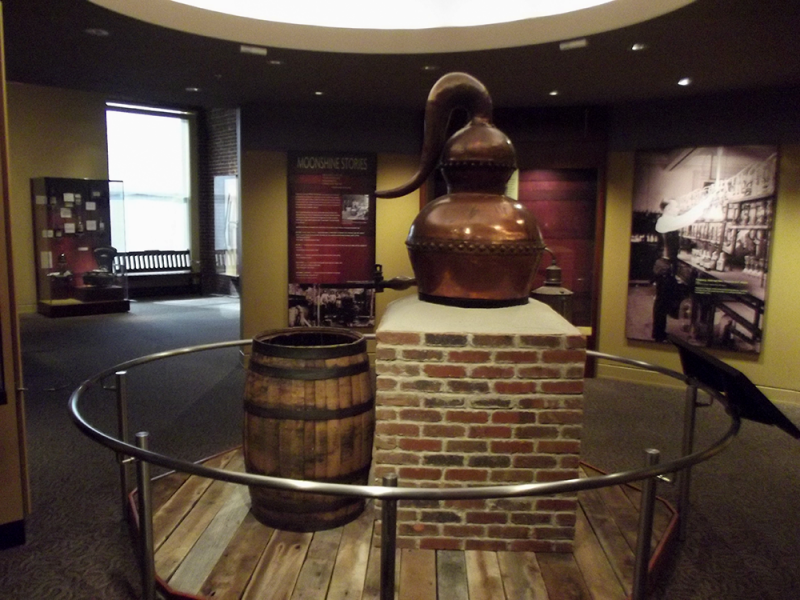 Instead of cutting the traditional ribbon, Frazier President & CEO, Penny Peavler, officially opened the exhibition by breaking open the top of a bourbon barrel and pouring its contents onto the sidewalk such as was done more than nine decades ago. Brown-Forman Master Distiller, Chris Morris, and Louisville Metro Council President, David Tandy, helped in the handling of the barrel for the pour. 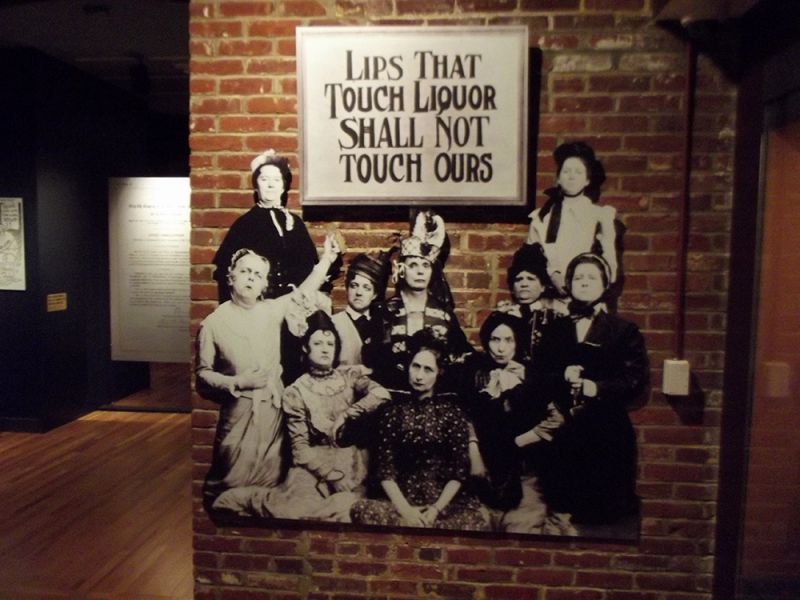 Prohibition and Kentucky brings the 1920’s to life & shows how millions of otherwise law-abiding Americans chose to violate the national alcohol ban to quench the country’s thirst for illegal booze. With two full sized bars, an event-ready Speakeasy with a lighted stage, and flapper dresses around every corner, Prohibition and Kentucky stands ready for a party. In 1920, you needed a doctor’s prescription or a Speakeasy password to get your lips on some liquor. Today, both the great stories, and the spirits, are much easier to come by. Prohibition and Kentucky traces the rise of the temperance movement, organized crime, and the repeal of the 18th Amendment in 1933, taking an in-depth look at America’s “Noble Experiment.” The Kentucky Distillers’ Association (KDA) is the title sponsor for the exhibition, scheduled to run through 2017. 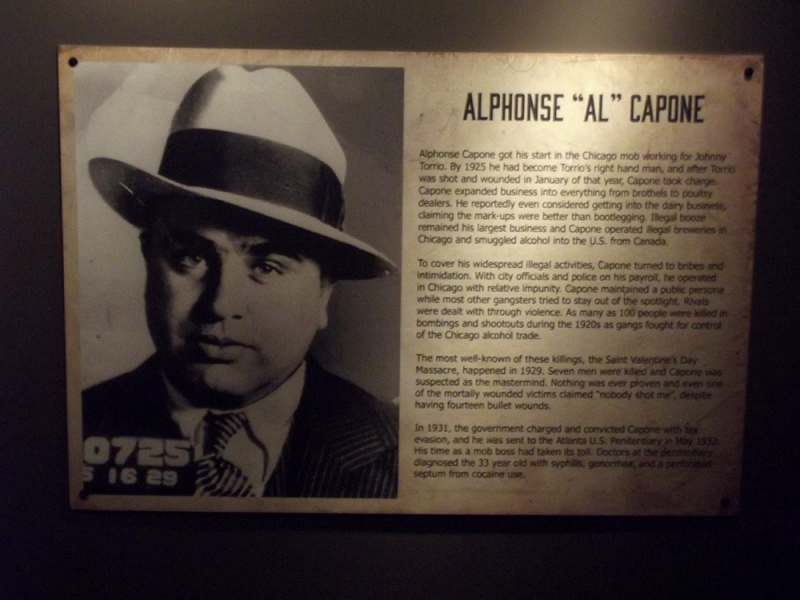 This is a great museum and a great exhibit to visit if you are visiting Louisville, KY.